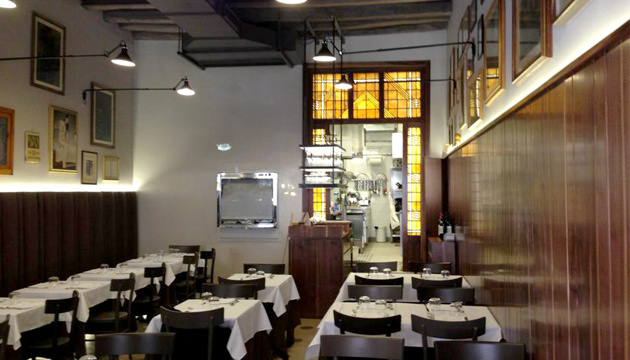 One of the best family-run Roman trattorias, just two steps from the Pantheon and PopART. Specializing in updated Roman foods: faro meatballs with a truffle and gorgonzola sauce, spaghetti “Verde”, or spaghetti “Claudio” (with mushrooms and saffron). And home-made deserts, such as an ancient Rome cake. And then amatriciana and carbonara, tripe, ox tail, suckling lamb, and innards with artichoke. There is also a vegetarian menu.